Over the past month I’ve shared some of my experiences with DTreat, a diabetes retreat for young adults who are transitioning into their independent lives with diabetes. Scott Johnson has also shared a post about DTreat. Now, you or a young adult in your life can be part of DTreat too! 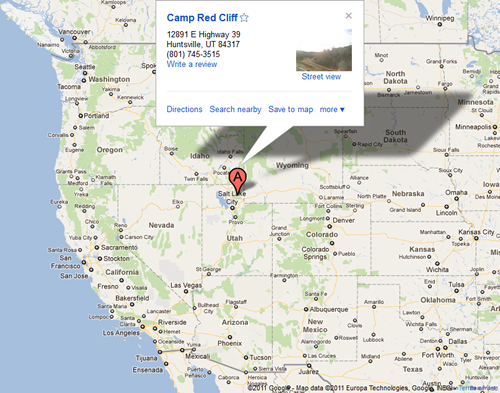 Over the weekend of August 26-28, 2011, join other young adults with diabetes (Type 1 or 2) at Camp Red Cliffe in Huntsville, Utah. Where is that you say? Have no fear, it’s here! All of the information that you need to sign up is on the Diabetes Camps web site. The $50.00 registration includes meals, snacks, accommodations, the program itself, and entertainment. Beyond the registration fee, all you have to do is get there. Seriously, if you’re a young adult between the ages of 18-25 (or even a little older) with diabetes, you can’t afford to miss this event. I wish so much that something like DTreat had existed when I was transitioning into adulthood. I could have learned a lot about how to manage diabetes in my own life, and I also feel like it would have helped me to open up about my diabetes with others. I know that parents worry about their children moving into the independence of adulthood and dealing with all the responsibilities of diabetes, and not being able to be there to help them. As a young adult, I know that we want to experience the excitement of life, our first job, college, relationships, traveling and adventure, and not let diabetes hold us back. 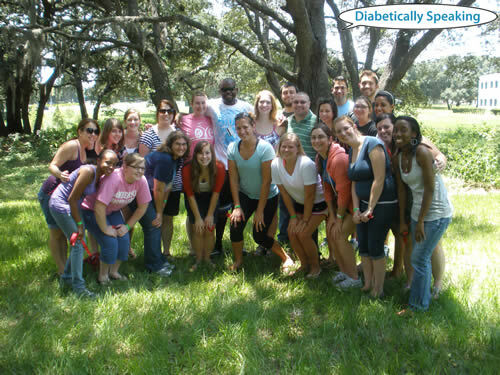 DTreat is something that can help both parents and young adults alike by teaching and demonstrating to young adults that the responsibilities of diabetes absolutely do not have to hold you back from a life full of amazing experiences. I hope you will attend this event. I hope that if you know of someone that would benefit from this event, that you will send them a link to this blog post. I hope that you will help me spread the word about DTreat, and help make a statement about how important programs like this are to the future of people with diabetes. Like these people with diabetes.